Memrise is a user-generated learning platform which uses flashcards as memory aids. It specialises in language learning. Here we review the app and see if it’s worth your time. Let’s get stuck into the app. 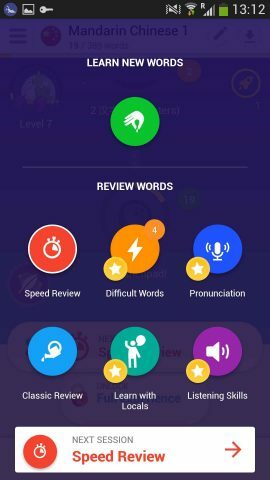 Memrise isn’t a new app by any means, it has been on the market since 2011, but since then it has gone through several updates and changes, so it is worthwhile to take a fresh look at this app. Especially since it won best app in 2017. 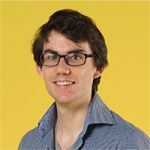 Memrise offers a large variety of languages you can learn, but this review will focus on the Chinese Mandarin course, and the free version of the app. Memrise is a flash card app, to help you memorize, learn, and retain vocabulary. This is done through a fun, colourful and gamified user interface with a space fantasy theme. Often such interfaces can be cluttered, or overly childish, but we feel that the Memrise team has struck a nice balance and the interface both looks, and works fine. The learning aspect itself can seem like a standard flash card app, but Memrise does certain things a bit differently. Mostly for the good. One example is the excellent voice acting. Often flash card apps use machine generated voices, or unnatural sounding human voice actors. However, for the Chinese language, Memrise uses native speakers with a very natural, but still clear and easy to understand pronunciation. This is especially important when learning Mandarin as the tones can be difficult to make out. With Memrise, you will stand a much better chance to hear, and thus get used, to the tones. Another feature which we liked with Memrise, is that they mix up the types of flash cards. Sometimes they show you the character and you have to find the english, or they will play the voice, and you have to find the pinyin, and many other versions. This really helps drill the vocabulary into your head. You also get to practice your listening. Memrise also has short videos with native speakers saying words, and you have to choose the correct one. This is a very nice touch, which makes the language feel more alive. If, however there is one improvement we’d like to see, it is that on lower levels, the Chinese characters could be more obvious, as is, they get somewhat lost on the page. Memrise not only helps your expand your vocabulary, but also has a nice system to retain what you have learned before. Partially by randomly throwing in words from previous lessons into your current lesson. They also have a quite frantic, and very engaging timed review mode. The timer is the background of the app filling up with red as your time runs add, it really adds to the feeling of urgency of the situation. The learning levels, mentioned earlier, are our main gripe with Memrise. We would like to have seen a more obvious connection between the learning levels in Memrise and the HSK levels. As is, it can be somewhat difficult to figure out exactly what HSK level to target in Memrise. If you aren’t too bother about taking a HSK exam of course, then this isn’t really an issue to bother you. 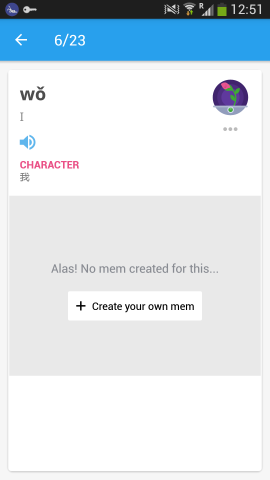 Finally, there is also a paid version of Memrise, this unlocks other options like target difficult words when reviewing, practicing listening and pronunciation, offline mode, grammar help and others. Memrise Pro costs €47.01 per year. A pro subscription can be worth it if you want to learn intensively, or advanced level, or if you want to learn several language at once. There is no option to get pro for only one language, or to pay “a la carte” for the functions you want. For most casual learners focusing on only one language, the free app should be enough for a long time. Conclusion – Memrise, Yay or Nay? The Memrise “menu” of free and paid for features. The features marked with the yellow star are for Pro subscribers only. To sum up, Memrise is a fun, and engaging flash card app, with a lot of nice features and options, even in the free version. 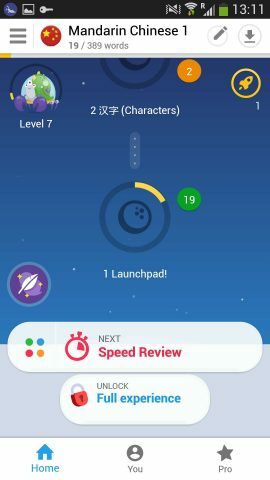 Some things, like levels, and characters could be a bit better, but these faults aren’t enough for us to not recommend Memrise to Chinese learners. The paid version is great for serious learners, or for those language fanatics who want to learn many languages at once. The great thing about learning Chinese on your phone is that there are so many Chinese phone apps about at the moment. The only problem is, because of this it’s hard to know the market leaders. You’ll now know Memrise is right up there but who else? 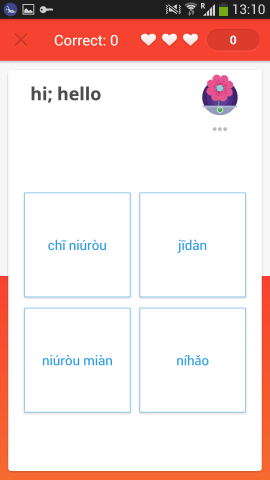 Duolingo Chinese review – One of the biggest language learning apps on the planet. Chineasy Cards review – Chineasy is one of the most beatifully designed Chinese learning brands you’ll come across. Hello Chinese review – Covering sentence structure, writing, and even speaking. This is a great all rounder for studying Chinese on your phone. Or even take online Chinese classes with a professional LTL teacher from the comfort of your own home.